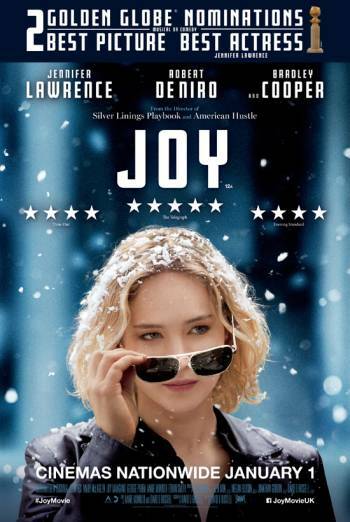 Summary JOY is a drama, based on the true story of Joy Mangano who invented a household cleaning device and went on to establish a business dynasty. JOY is a drama, based on the true story of Joy Mangano who invented a household cleaning device and went on to establish a business dynasty. There is infrequent strong language ('f**k'), with milder bad language including use of 'God' and 'jackass'. There are scenes of mild emotional upset as characters experience difficulties in relationships and family bereavements. There is also brief sight of bloody injury detail after an accident with broken glass.